You understand the importance of receipt printers, but you may not understand the benefits you receive when utilizing one for your shop. Point of sale (POS) receipt printers offer many benefits to small businesses and shops from offering portability to money saving techniques. This post is going to explore a few of the incredible benefits you can expect from a POS receipt printer. Many small businesses and shops will greatly benefit from the portability of a receipt printer. You can take the printer with you to any tradeshows, events, or to other shops that are hosting your business. This will create a sense of trust from customers as they browse through the different shops on the floor because the majority of people prefer getting receipts when purchasing from vendors. Bringing a receipt printer along with you, hooking it up to whichever device you use is incredibly handy for every small business. A POS receipt printer will work with just about any device. You do not have to worry about it not fitting your device as you can find different ways to hook it up to your iPad. This is great when you are going from show to show, as you will most likely use a tablet device instead of a computer to make sales. Finding a POS receipt printer that works with iDevices and will sync with other programs, such as Shopify’s, gives you the ability to see what is being purchased. This can help keep records of all purchases and can give you peace of mind that there is a central location where you store all of your information. Always check the compatibility of a POS receipt printer with your devices before purchasing one. This is important in saving you money, as well as time if it is not compatible. Research different brands and how they will work with your various devices, as well as learn which printers will be cheaper in the long run, not just up front. Many customers appreciate receiving receipts for their transactions on the spot. 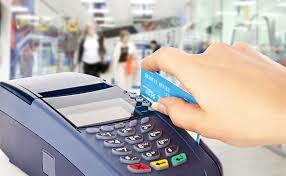 Many consumers no longer carry cash, making them use their debit or credit card. Receipts for these types of transactions are important for their records. Receipts are legal proof to show that the customer does, in fact, own what they purchase. If you are selling large-scale items, always make sure your customers take a physical receipt. Customers should also get receipts for possible tax purposes, in case they need to return or exchange an item, or protect themselves from fraud. Receipts are perfect for documenting all purchases, ensuring protection for everyone involved from a myriad of other issues that could arise. Selecting and using a receipt printer will be a great way to keep track of every sale you make while at a tradeshow or event. In the craziness of shows, you will become distracted and oftentimes forget that you made certain sales. Finding a printer that syncs with your iPhone, iPad, and computer will be beneficial in order to keep adequate documentation of your sales. This will be great for any statistical reports you make regarding the show and can illustrate which areas you may need to improve. Records of your sales will also benefit you if you hire an accountant to balance your books or if an audit occurs. Receipts as documentation will also help with any other future tax issues or possible deductions you may miss if you do not have the receipts. Thermal paper and printers can save you significant sums of money when it comes to replacing ink cartridges and ribbon. A generic printer may seem cheaper upfront, but, in reality, these printers will cost you more money over time than a thermal printer. A thermal printer can work for years without needing much maintenance or cleaning and can print out the receipt quicker. Fast working and efficiency are crucial in the world now and many customers will appreciate it if your receipt printer prints quickly, instead of having to wait around. The proper receipt printer will end up saving you money and time, allowing you to give every customer a receipt quickly. It will also allow you to sync with your other devices, keeping a detailed record of all sales you make, which will help you more easily balance your books. Consider acquiring a POS receipt printer for your shop or before you head out to the next tradeshow.